WE'RE NOW OPEN! CALL 507-551-2034 to schedule a tour today! CALL 507-551-2034 to schedule a tour today! We will be offering a number of service/living packages to encompass a variety of needs and desires including meal plans, housekeeping and life enrichment programs. We are committed to providing all the comforts of home in a caring community setting. 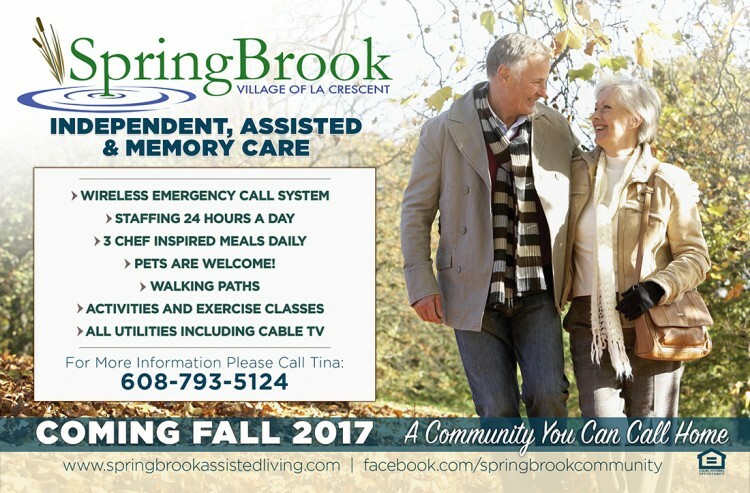 SpringBrook residents will start with the essentials of home: privacy freedom and comfort. While you reside in one of our private apartments you may come and go as you choose. Services will be available that allow you to maintain independence in a safe and dignified manner. When you become a part of our community, you will experience a warm, compassionate and intimate atmosphere where care, freedom and peace of mind go hand in hand. Please continue to visit this page as more information will become available as we work through our development phase. 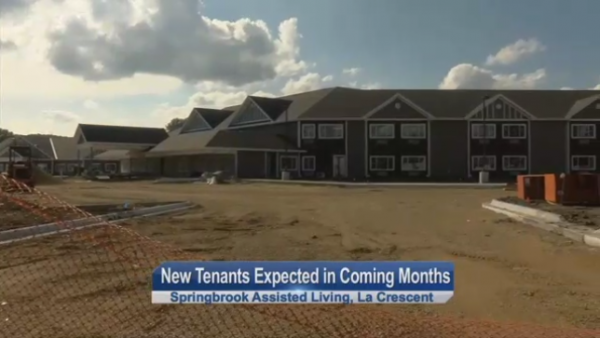 The new Springbrook Assisted Living Facility in La Crescent is only months away from new tenants moving in. Rain delays slowed construction but much of it remains on schedule to open in late fall early winter. The facility will have 80 apartments. Broken down, that's 11 independent apartments, 25 for assisted living, and 44 for memory and advanced stage care. "The community and the surrounding communities are really anxiously waiting for us to open our doors," said Tina Antony, Housing and Outreach Specialist for Springbrook. 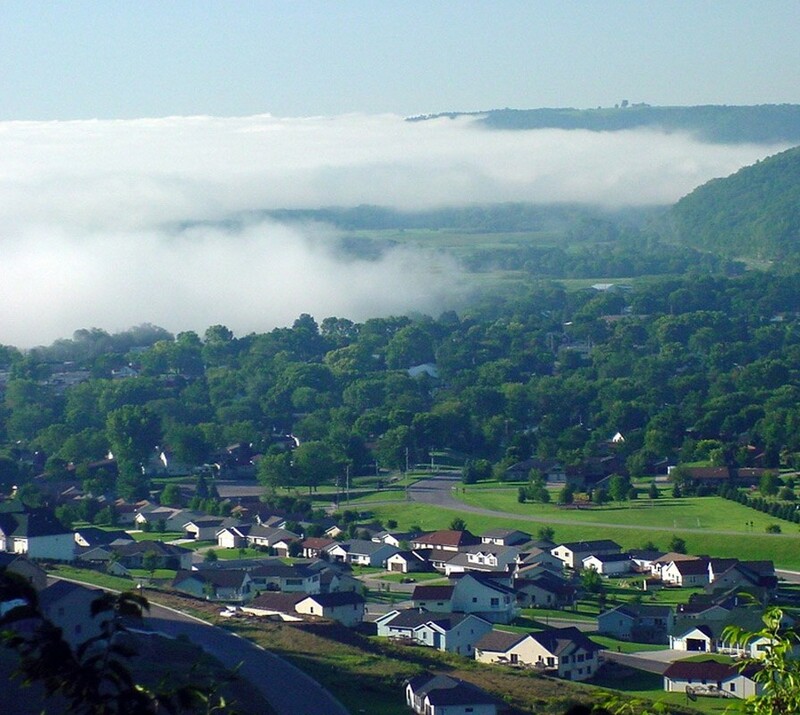 "It's not just La Crescent, this is going to impact this area in many many different ways." Copyright 2017 by WXOW.com. All rights reserved. This material may not be published, broadcast, rewritten or redistributed. VIDEO: New Tenants Expected in Coming Months!